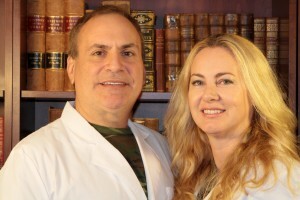 Their mission: To put a medically prepared person in every family for any disaster. Joe Alton, M.D. is a retired but actively licensed M.D. and Fellow of the American College of Surgeons and the American College of OB/GYN. Amy Alton, A.R.N.P. is an Advanced Registered Nurse Practitioner and Certified Nurse Midwife. Together, they’re the authors of the 2017 Book Excellence Award 1st Place Winner and Amazon bestseller in Survival Skills and Safety/First Aid “The Survival Medicine Handbook“, the NY Times bestseller “The Ebola Survival Handbook“, “The Zika Virus Handbook“, and others. Their new book “Alton’s Antibiotics and Infectious Disease: The Layman’s Guide to Available Antibacterials in Austere Settings” is a detailed look at the various antibiotics the Altons have been writing about for years. 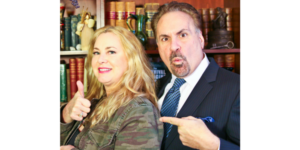 They are well-known speakers, podcasters, and YouTubers, as well as contributors to several leading survival/homesteading magazines like American Survival Guide, Survivor’s Edge, and Backwoods Home. Dr. Alton is a member of MENSA and a collector of 19th century medical texts, in order to gain insight into off-grid health strategies. Together, the Alton have donated hundreds of thousands of dollars from book royalties to putting together medical kits and keeping medical supply prices affordable for families everywhere. The website you are visiting has won the Reader’s Choice Award from survivaltop50.com three years running as the highest quality content for a survival site on the web, and is on every major list of must-go-to survival web sites. Amy Alton, ARNP is an expert on herbal remedies and essential oils. She has one of the largest medicinal gardens in the state of Florida. She has also written articles on survival gardening and natural remedies for various magazines. The opinions voiced by the Altons are their own and meant for disaster and epidemic settings; in normal times, seek modern and standard medical care from qualified professionals. 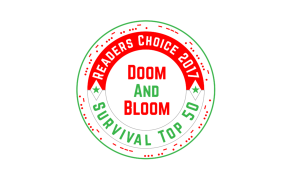 The Doom and Bloom™ Survival Medicine Hour syndicated podcast can be found at www.BlogTalkradio.com and on the “podcast” toolbar on the main page of this website, as well. The Altons, also know by their pen names “Dr. Bones and Nurse Amy“, have a YouTube channel and have produced more than 200 videos about survival medicine and survival gardening. They are active in social media on Facebook at their Group: Survival Medicine as well as their doomandbloom(tm) page. 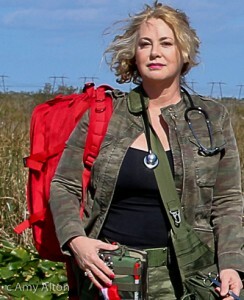 The Altons travel the country spreading the message of medical preparedness and have served as speakers at preparedness conferences throughout the country. Read over 500 5-star reviews of their books (over all editions) at amazon.com. Lastly, the Altons design custom medical kits which are used by schools, workplaces, places of worship, law enforcement, and other at-risk for traumatic injuries, as well as for the survival medic in times of trouble. Find them at store.doomandbloom.net.